Terrific “When Did Girls Start Wearing Pink?” article in the Arts & Culture section of the Smithsonian Magazine. Did you know that pink and blue was not gender specific until about the 1940’s? Find out how the delineation took hold. You can read the full article here. How do you feel about girl colors vs. boy colors? Do you switch it up for your tot or stick with pink vs. blue? Or is gender neutral clothing more your cup of tea? 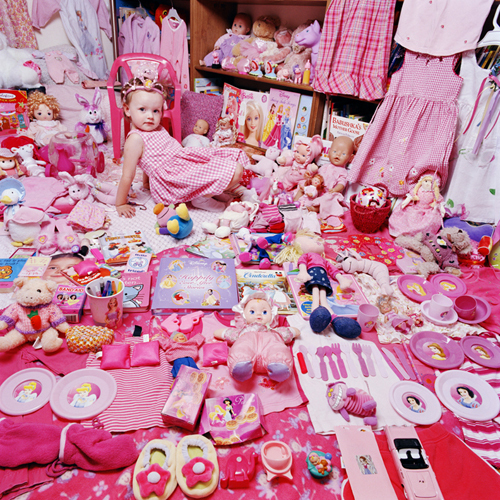 Also, check out these surreal “Pink and Blue Project” photos by Jeong Mee Yoon. Photos by Jeong Mee Yoon. Previous Post Candid Chatter: Armpit. Next Post Talking Choo-Choo Scores a 10.